Founded in 1972 by Peter Lord and David Sproxton, Aardman made its name on the success of short films for British television, as well as featured animation work in music videos like Peter Gabriel’s “Sledgehammer” and Nina Simone’s “My Baby Just Cares for Me.” The studio won its first Oscar for Best Animated Short Film in 1990 for Nick Park’s Creature Comforts, which follows zoo animals being interviewed about their living conditions. But that same year, Park would debut a short film starring what would become Aardman’s most enduring duo: Wallace and Gromit. The rest, as they say, is history. For over four decades, Aardman has delighted audiences with a whimsical, generous spirit that imbues all of their creative projects. Each of their films features an ingenious adventure in a wildly different setting, from a chicken farm to the high seas, but the majority of them offer a resounding belief in humanity without shortchanging nuance or complexity. Too often we hear about movies “for the whole family,” but that are really just for kids. Aardman makes films targeted for kids — but because they refuse to talk above or below their audience, they end up working for everyone. Pixar Animation and Studio Ghibli might receive the lion’s share of praise in animation, but Aardman deserves to be spoken in the same sentence for their high level of consistency and quality. In honor of Aardman’s latest film, Early Man, here’s a ranking of their filmography, from their early Wallace and Gromit shorts to the under-seen Shaun the Sheep Movie. DreamWorks Animation produced and co-financed three Aardman films before their deal was officially terminated due to creative differences. Aardman’s last film with DreamWorks underwent a troubled production and led to their split, and boy, is it the nadir of their filmography. Aardman’s first entirely CG-animated film, Flushed Away follows a posh pet rat Roddy St. James (Hugh Jackman) who gets flushed down the toilet while his owners are away on vacation. In the sewer, he discovers the rat city Ratropolis and quickly meets Rita (Kate Winslet), a resourceful scavenger desperate to raise her large family’s spirits. The two work together to bring Roddy back home and stop the evil Toad (Ian McKellen) who wants to drown the entire city because of his long-standing hatred of rodents. A half-baked plot, rote voice-acting, and a dire pop soundtrack (Billy Idol, Tina Turner, the Dandy Warhols, and *shudder* Jet have never sounded worse than in this film), Flushed is largely indistinguishable from other forgettable DreamWorks Animation films, which, conceivably, was DreamWorks’ objective. Though there’s some Anglophile-friendly material (the climax hinges on people waiting until halftime at the World Cup to use the bathroom) and there are shades of Lord’s initial pitch for a gender-reversed African Queen, it’s difficult to view Flushed Away as anything but a compromised Aardman film, a cheap attempt to contain their style so it’ll fit into the standard kid’s-movie box. Worst of all, the CG animation looks cheap and hurried, a particularly notable offense considering the studio’s stellar style record. It’s no wonder that Flushed Away eventually led to a new deal with Sony Animation. 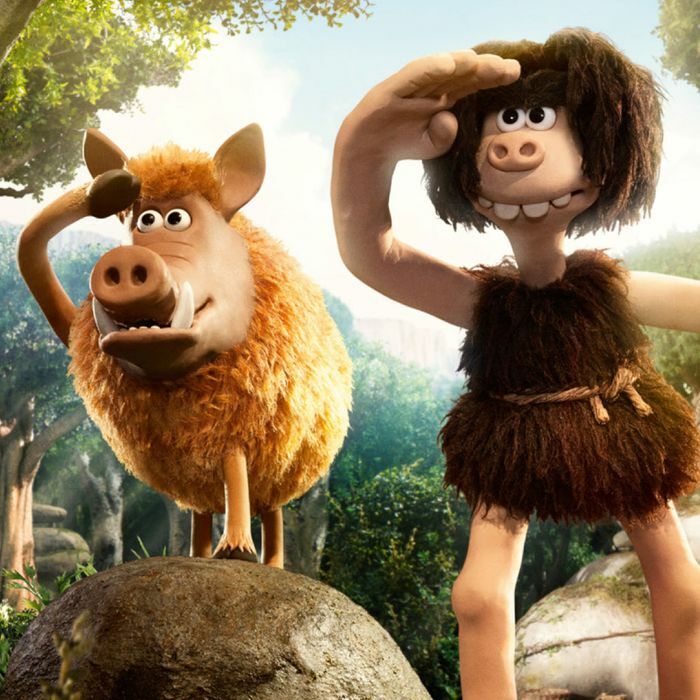 Aardman’s latest feature is set in the Stone Age and follows Dug (Eddie Redmayne), a wide-eyed caveman who lives in a valley with the rest of his small rabbit-hunting tribe. One night, a Bronze Age army led by the pompous Lord Nooth (Tom Hiddleston) drives the tribe out of the valley claiming that the primitive Stone Age is over. In order to win back their home, Dug strikes a deal with Lord Nooth: He and his tribe will play the Bronze City’s champion team in a soccer match, and if they win, they get to return to their valley. Though the tribe struggle with the mechanics of the game, Dug and Goona (Maisie Williams), a Bronze City renegade, team up to coach the tribe to victory. Early Man represents Nick Park’s return to feature filmmaking since The Curse of the Were-Rabbit in 2005 and his first directorial effort in over a decade. It’s a shame that the film suffers from a rote narrative and one-dimensional characterizations, which renders its emotional core, involving the difficulty of transcending ancestral heritage, dead on arrival. Though Early Man’s aesthetic is a welcome respite from digital’s omnipresence, and some of the caveman-related gags land beautifully (e.g. a joke about primordial soup stands as a real winner), it’s nevertheless one of Aardman’s weakest efforts. Aardman’s flagship man-dog team make their big-screen debut in The Curse of the Were-Rabbit, about Wallace and Gromit’s efforts to subdue an enormous rabbit who terrorizes Tottington Hall’s vegetable gardens in the nights leading up to their annual Giant Vegetable Competition. Smitten with the wealthy, rabbit-loving Lady Tottington (Helena Bonham Carter), Wallace promises that he and Gromit can capture the beast safely, while Lord Victor (Ralph Fiennes), determined to seek the Lady’s hand in marriage to secure her fortune, wants to kill the Were-Rabbit before the competition begins. Things go pear-shaped fairly quickly when Wallace learns that he is actually the Were-Rabbit after he switches brains with a particularly mischievous hare (it turns out Wallace’s Mind Manipulation-O-Matic has some kinks that need to be worked out). The Curse of the Were-Rabbit pales in comparison to Park’s original short films, mostly because an extended Wallace and Gromit exploit lends itself to some slack pacing and dull moments. Interestingly enough, however, it represents Aardman’s most self-consciously British feature in their filmography. Aardman has always embraced their home country, not just by almost exclusively employing British actors, but also in their humor — wry, self-aware, and constantly teetering on the line between silly and absurd. Yet, The Curse of the Were-Rabbit goes well beyond the traditional signposts by adopting a quasi-Ealing feel to its superficially cozy country setting, and by showcasing the comically haughty side of the British aristocracy. Despite its high narratives stakes (Gromit and a rival dog battle in an aerial “dogfight”!) and various nods to American films like King Kong and The Wolf Man, The Curse of the Were-Rabbit’s utter quaintness stands out. After all, the film’s emotional fulcrum lies in Gromit sacrificing his beloved marrow to save his flighty master’s life. Aardman returned to stop-motion animation for the first time in seven years for their final outing with Sony Animation: the breezy but fun The Pirates! Band of Misfits! In the film, Pirate Captain (Hugh Grant, providing one of the best performances of his career) leads a ragtag misfit pirate crew as they try (and repeatedly fail) to make a name for themselves on the high seas. One day, they encounter a ship and discover its sole passenger, Charles Darwin (David Tennant). Just before they make him walk the plank, Darwin informs Pirate Captain that his prize pet Polly isn’t a “fat parrot,” but rather the last remaining dodo bird. 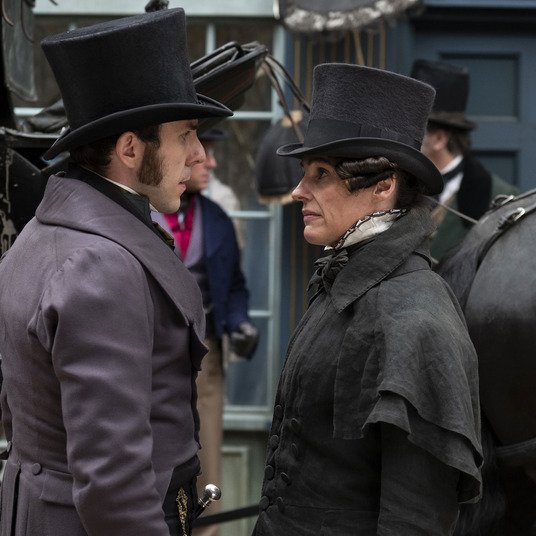 Pirate Captain agrees to enter Polly into Royal Society’s competition for Best Scientific Discovery, but Darwin has more sinister plans in mind for the rare bird. With The Pirates!, director Peter Lord combined Aardman’s traditional stop-motion with CGI for the seas and larger scenery, adding a digital sheen to their otherwise handmade Plasticine technique. One might expect the two animations to clash, but Lord and the Aardman animators seamlessly integrate both styles to create one of the studio’s most visually engaging films. Though the plot itself is a little tired, the characterizations are compelling, especially that of Darwin as a petulant, lovestruck schlemiel, and it contains some of Aardman’s best comedy to date, including an intelligent chimpanzee who communicates in flash cards. It’s a relatively “light” affair, one that trades on obvious (and some deep-cut) elements of the pirate mythos, but even low-key Aardman affairs have plenty to offer. One of Aardman’s best qualities is their ability to craft genuinely heartfelt stories that never devolve into cloying sentimentality. Case in point: their underrated holiday film Arthur Christmas, a story about Santa Claus’s earnest son trying to deliver one last present before Christmas morning that doubles as a portrait of generational strife. The film presents a world where Santa Claus (Jim Broadbent) employs hundreds of Christmas elves who help him command a high-tech spacecraft that delivers presents all around the world in record time. Santa’s eldest son Steve (Hugh Laurie) manages these operations and patiently waits to take over for his father, while his youngest son Arthur (James McAvoy), enthusiastic yet clumsy, diligently answers every kid’s letter to Santa because he’s too accident-prone to do anything else. But when one girl’s present gets lost in the shuffle, only Arthur seems to care that no child should be forgotten on Christmas Day while everyone else, including Santa, is caught up in their own petty grievances and insecurities. It’s up to Arthur, Santa’s grumpy, senile father (Bill Nighy), and an enthusiastic elf Briony (Ashley Jensen) to save the day using Evie, Santa’s old magic sleigh. Arthur Christmas is a little more conventional than Aardman’s other features, complete with familiar story beats and Christmas sentimentality, but it hits those story beats with so much commitment and complicates that sentimentality just enough that the film sings. It helps that Peter Baynham and Sarah Smith’s script features an airtight premise that endlessly riffs on the Santa story and allows for dizzyingly inventive CG animation (some of the best ever produced this side of Pixar). More than that, Arthur Christmas understands holiday fatigue, and how the season can bring out everyone’s dissatisfaction and fears. It’s only Arthur, the true believer, who never loses sight of what the season means, while the rest of his family tries to exercise their own egos. But it’s Arthur’s determination to make sure no kid gets left out that reminds his whole family that Christmas, at its best, provides a tiny light on an otherwise cold, dark day. In 2007, Aardman produced the stop-motion TV series Shaun the Sheep, a spinoff of the Wallace and Gromit franchise, starring the clever, enterprising Shaun, who first appeared in A Close Shave. In each episode, Shaun tries to liven up mundane farm life with low-stakes schemes that eventually spiral into farcical, slapstick situations. Shaun, with the help of long-suffering sheepdog Bitzer, must return the farm to normal before the Farmer finds out. Inspired by the series, Shaun the Sheep Movie takes the show’s bare-bones premise and runs wild with it. Shaun tricks the Farmer into falling asleep by repeatedly counting his flock, allowing him and his cohort to rule the farm and ignore their daily routine. But when the Farmer accidentally lands in the big city with an amnesia diagnosis, it’s up to Shaun and his pals to remind him of his identity and bring him back to the farm before Animal Control nabs them all. Though most Aardman productions owe debts to Chaplin and Keaton’s films, Shaun the Sheep Movie is their first feature to arguably wholesale adopt the rhythms of a silent film while still retaining the studio’s more modern sensibility. The film features a litany of dense jokes, frequently relying on kid-friendly sight gags and adult-friendly puns, and layered background details designed to engross everyone. Besides the comedy, Shaun the Sheep Movie also meditates on urban alienation, and the lonely anonymity that’s part and parcel of moving through a metropolis. Shaun, Bitzer, and the rest of the flock feel out of place in their new environment, not just because they’re animals, but also because they’re used to a smaller life, one with less danger and fewer complications. It’s arguably the most emotionally mature film in Aardman’s catalogue. What better way to dive into feature filmmaking than an extended riff on The Great Escape, only with chickens? Set in a Yorkshire poultry farm styled like a prison camp, Chicken Run follows the egg-burdened chickens’ various attempts to escape their oppressive owners, Mr. and Mrs. Tweedy (Tony Haygarth and Miranda Richardson). Led by the plucky and determined Ginger (Julia Sawalha), the chickens repeatedly try to get past the farm’s high fence to no avail, but when a cocky rooster (Mel Gibson) suddenly flies into their midst, they see him as their last chance to finally break free before the whole lot is turned into pot pies. Directed by Peter Lord and Nick Park, Chicken Run largely succeeds by doubling down on the animation style Aardman developed over two decades of short films, expanding and elevating it for the big screen. Lord and Park brought the rough world of fowl imprisonment to life through intricate, detailed Plasticine models of the sets — the camp itself, as well as the Tweedy’s industrial automated pie machine — as well as the characters themselves. Along with Aardman’s typically sharp writing, courtesy of Karey Kirkpatrick, and a game voice cast (the contrast between Sawalha’s British poise and Gibson’s self-obsessed charm is particularly inspired), Lord and Park also brought a more sophisticated filmmaking approach to the material, including an expansive depth of field and tighter editing schema. After over three years of painstaking work (only a single minute of film could be completed each week), DreamWorks’ then-burgeoning animation arm released Chicken Run to widespread critical acclaim. It quickly became the highest-grossing stop-motion animated film in history and a high-water mark for Aardman Animations. In 1989, Nick Park’s A Grand Day Out premiered at the Bristol Animation Festival and introduced audiences to Wallace, a hapless English inventor with a cheese obsession, and his trusty silent dog Gromit (the brains of the two). In the film, Wallace and Gromit travel to the moon on a cheese expedition, but when they land, they encounter an eager robot desperate to return to Earth with them. Though a bit rudimentary and light on gags, A Grand Day Out showcased Aardman’s imaginative worldview, steeped in classical film history and influenced by a techo-modern sensibility. Most importantly, however, it illustrated the capabilities of their stop-motion animation, and how its handcrafted style could facilitate expressive behavior, inspired sets, and dense, dry humor. Park would later follow up A Grand Day Out with three other Wallace and Gromit shorts: The Wrong Trousers (1993), about Wallace and Gromit’s run-in with a criminal penguin; A Close Shave (1995), about a robot dog who frames Gromit for sheep rustling; and finally, A Matter of Loaf and Death (2008), in which Gromit solves a murder mystery involving a serial baker-killer. All three short films were critical and commercial successes, and The Wrong Trousers and A Close Shave netted Oscars for Park and Aardman. Wallace and Gromit are still the crown jewels of Aardman and remain cultural luminaries to this day.